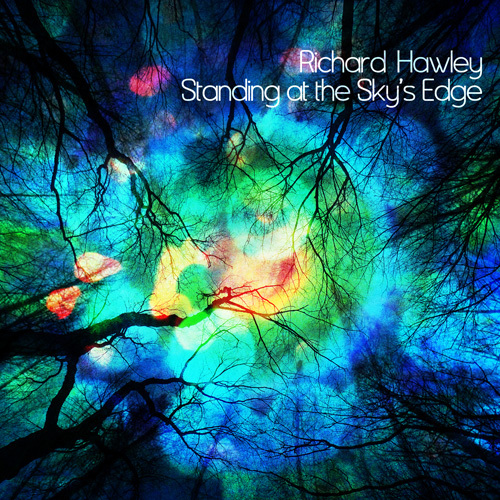 Richard Hawley’s 6th studio album came out yesterday, and admittedly I’m late to the party. Not to hearing this album, 24 hours is fashionably late, and besides, it was a bank holiday. What I’m late to is Richard flipping Hawley. Six albums in, and he’s just crossed my radar. People like to think that I have a breadth of musical knowledge and taste, but there are some serious gaping holes to be found. I’ve heard the name before. As Arctic Monkeys won the Mercury prize way back when for their debut album, their first comment on receiving the award was “Phone 999, Richard Hawley’s been robbed.” Hawley was a fellow nominee, and a fellow Tyke (/Sheffieldian). Hawley and the Monkeys have made music together since then; in fact Hawley has had many fingers in many delicious pies over the years. He’s worked with the likes of Pulp, Elbow, he even played the guitar lick in the All Saints cover of ‘Under the Bridge’. I’ve always secretly loved that song, and now I have a valid reason to proclaim my love for it out loud. I read a review of the new album last week, and it sounded phenomenal. I’m listening to it for the first time right now, and it is phenomenal. Fuzzy prog-rock full of atmosphere, character and charm. Hawley seems particularly apt at slowly building up something thundorous and explosive, but knows how to keep everything on a leash so it never reaches a proggy Mars Volta level of insaneness (here’s a link to one track/16+ minutes of MV insanity, but I love them all the more so for it). Just the perfect amount. So here’s a little teaser of Richard Hawley. This is the first track I heard, and I don’t really want to describe it. I just want you to listen to it. Slap on some big headphones. Don’t do anything else for six minutes. Just enjoy it.